Weir Tree Farms has been family owned and operated for three generations. The farm's first seedlings were planted by Harlie Weir in 1945 on a lot in Stewartstown, New Hampshire. The Balsam Fir needles of the original seedlings possessed an extremely desirable blue color. Some of the trees in the original plantation are still used for seed today. 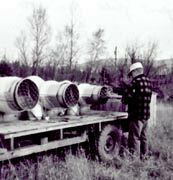 In 1958, Harlie acquired the current farm in East Colebrook, New Hampshire and planted several thousand Balsam Firs. 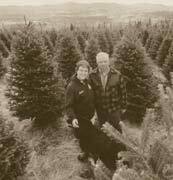 In 1965, Harlie's oldest son, William, and his wife, Pauline, purchased the tree farm. Over the next forty years, William and Pauline continued to operate and expand the farm. 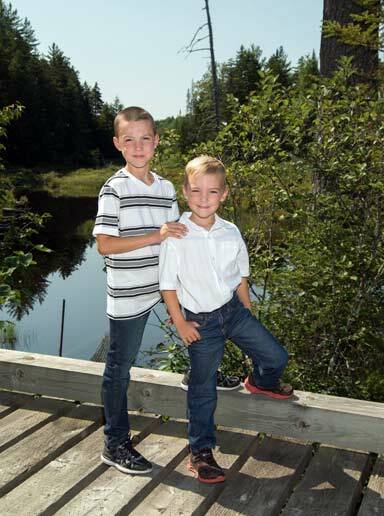 In 2004, William and Pauline's youngest son, Jay, and his wife, Christie, purchased the family business and continue to operate the tree farm today. In May 2018, Jay and Christie purchased a 475 acre parcel of land that abuts the current farm bringing the total acreage of the farm to 1000 with just under 400 acres in Christmas Tree production. It should be noted that Harlie was a charter member and the second president of the NH-VT Christmas Tree Association. William has served as director, vice president, and president of the association. Jay has also served as president and on the Board of Directors. 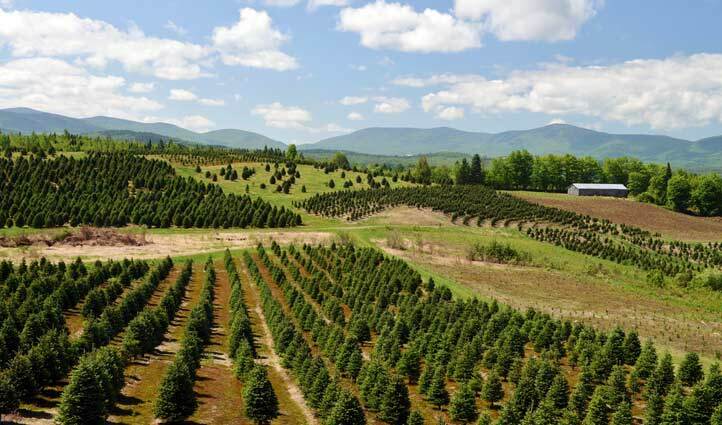 Today, Weir Tree Farms has just under 400 acres in Christmas tree production harvesting 15,000 to 20,000 trees annually. We are able to grow all of our own planting stock from seed and produce approximately 100,000 excess transplants for sale to other growers and individuals. 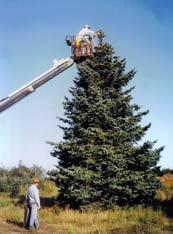 Weir Trees are sold wholesale, mail order and choose and cut. Also, in 2011 we purchased a tree spade and are now able to offer live, dug trees up to 8 feet tall.